US drug-maker Pfizer has announced a staggering $US160 billion ($220 billion) deal to join with Irish drug company Allergan. 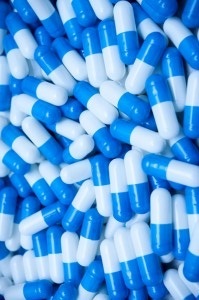 The deal would bring together the makers of some of the world’s best known pharmaceuticals including Viagra and Botox. Pfizer's vast portfolio includes drugs and vaccines for cancer, rheumatoid arthritis and other ailments, while its smaller rival Allergan has holdings covering eye care, dermatology and urology treatments in particular. Executives from both companies have been emphasising the benefits of the marriage, which they say will save up to $2.8 billion in operational costs. If the deal goes ahead, the new entity will be known as ‘Pfizer plc’, and it will be listed on the New York Stock Exchange trading under Pfizer's current PFE ticker. Pfizer plc’s global operational headquarters are set to stay in New York, but its ‘executive offices’ will move to Ireland. While Pfizer investors are set to own a majority of the merged company, the deal is being set up as a “reverse merger”, which leaves smaller firm Allergan as the parent of the combined group. The new board will have 15 members, with 11 from Pfizer and four from Allergan. “The proposed combination of Pfizer and Allergan will create a leading global pharmaceutical company with the strength to research, discover and deliver more medicines and therapies to more people around the world,” Pfizer chief executive Ian Read said in a statement. The deal does have its detractors though, with opponents arguing that it is a ploy by Pfizer to swap its 25 per cent US tax rate for the lower Irish rate of 17 to 18 per cent. This kind of deal is known as an ‘inversion’, where a big US corporation buys out a smaller company in a country with lower tax rates and relocates its official headquarters there - on paper. Pfizer executives say the deal does not flout anti-inversion rules in the US. They say this includes new measures announced just last week that will see the Treasury Department block companies from making transactions based on “a desire to shift the tax residence of a parent entity to a low-tax jurisdiction simply to avoid US taxes”. The deal has not been approved by US regulators, but given the size and influence of Pfizer in the US political system, many predict it will not have a hard time getting the green light. Mr Read appeared confident in a recent interview with CNBC. “We've been engaged for the last year and a half with leaders in Congress,” he said. A successful deal would be a big breakthrough for Mr Read, who was repeatedly rebuffed by British firm AstraZeneca when he sought to make an inversion deal in 2014. Gustav Ando, an analyst at consultancy IHS, says there has been rising scrutiny of high drug prices and pharmaceutical industry profits, and this deal could see some significant backlash. Democratic presidential hopeful Hillary Clinton said Pfizer’s planned inversion deal “would leave US taxpayers holding the bag”, calling on law-makers to “make sure the biggest corporations pay their fair share”. Another US Democratic presidential hopeful Bernie Sanders said the deal would be a disaster for consumers, and “allow another major American corporation to hide its profits overseas”. The deal is the latest in a series of record-setting mergers in global pharmaceuticals, which will total $619 billion in 2015 if it gets through.